Beginning in 1988, ACSIG expanded its program offerings to include dental coverage. In partnership with Alliant Insurance Services and Preferred Benefits, the EDGE coalition was formed. The coalition is administered through ACSIG. 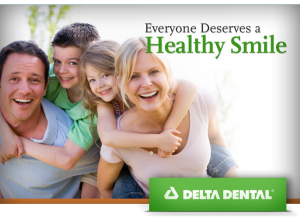 ACSIG is fully self-insured with Delta Dental for this program. ACSIG contracts with Alliant Insurance Services for all outreach and underwriting services. ACSIG contracts with Preferred Benefit for all eligibility and billing services. Fully Insured – Pay a monthly rate per employee determined by underwriting based on their specific plan design and program offerings. Pay the actual amount of services rendered with a Delta administration fee and an ACSIG administration fee. Rates are revised and voted on by the JPA Board each May. The total amount of claims and fees is billed monthly in arrears. Self-Insured Weekly – Due to the large membership in some agencies, if another JPA joins ACSIG as a self-insured member, they are required to pay the actual claims and Delta administration fee on a weekly basis. The ACSIG administration fee is billed on the last weekly invoice of the month. ACSIG pays Delta Dental the weekly claims and Delta admin fee each week.